"The best dialer I’ve ever used!" We’ve been using Voiptime Predictive dialer for 6 months already and I’m more than happy with this software! My team now processes massive databases three times faster than they used to. Our sales have jumped exponentially. And now they’ve added FCC compliance feature, which means that we’ll be able to use Predictive dialer to its full potential and not be afraid to violate the law. I’m very satisfied with this software. My only regret is that I didn't turn to them earlier. I have nothing to complain about so far. Though it would be great to send follow up emails directly from the system but that’s just a suggestion. Overall, I love it! Don’t waste your time. If your call center doesn’t work as it’s supposed to, maybe it’s time for a change. We had big contact lists of potential leads, but agents couldn’t reach them fast enough. Our sales fluctuated because of that and I had to either hire more people or come up with something more effective to process calls. Once I implemented Voiptime Predictive dialer, the productivity of my sales reps increased three times! I got a lot more than I expected for a reasonable price. Thanks, Marie! We are always ready to assist you. 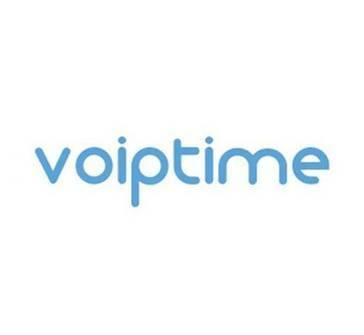 If you need to work with large call volumes, Voiptime is a great all-in-one solution. Voiptime helps us optimize sales by providing quick access to all client information. I can monitor leads at every stage of the sales pipeline, check who is working with whom, and how the whole process is going. "This software is as good as they say"
legal compliance and timezones, just to name a few. It has everything you need to boost sales. We saw the result in the first few months! Also, Voiptime Cloud is very easy to implement. We just imported our database and continued working. We need a bit more automation (I mean sending a follow-up email if the call wasn't answered). This feature is not available at the moment, but the team promised to develop it soon. We can recommend Voiptime Cloud to anyone who’s looking for a call center and sales solution. You’ll particularly appreciate it if you do business in different countries. Voiptime helps us reach more prospects much faster. It saves us a lot of time because it automates many routine tasks. "Call center software that automates daunting tasks"
We’ve been using Voiptime for a few months now and we are very satisfied. The feature that we like best is that this software connects agents only with live people. Our sales don’t have to listen to the ringing tone every time they dial a number. They don’t even have to dial actually. Once the campaign is launched, all they do is talk and sell, which is awesome. We also like detailed reporting and timezones features. Everything works fine for us, the longer we use this software, the more positive sides we discover. We signed up for a free trial before purchasing to check if this software had the functionality that we needed. And it does have it all and even more! Voiptime saves a ton of time and makes your sales reps hyper-productive. As a result, we acquire more and more customers. "Great software for cold calling"
What we really like about this software is that it has a bunch of other useful features in addition to auto dialer. It’s really important for us to be able to process our database effectively and Voiptime Cloud ensures that. Starting out and setting the campaign is very easy and overall it’s very user-friendly software. We’ve just started using it, so no complaints so far. It’s a very user-friendly system. Even if you’ve never used call center software before, you’ll easily figure it out. And if you have any questions, just contact the support team. They really are very helpful. It makes our campaigns more effective by making sure that every contact in the list is processed. The system doesn’t just skip contacts who didn’t pick up. It schedules another retry. "The software that makes your team more efficient"
We’ve been looking for software that could improve the speed of the first contact with lead and Voiptime Cloud is perfect at that. This software allows us to react to customers’ queries and respond to callback requests much faster. And with appointment scheduling feature, we can plan our time in advance and make sure we don’t miss a single person. We can’t send follow up emails from the system. Not that we dislike it, but it would be nice to have such function. Try this software if you want more efficiency in your workflow. Voiptime Cloud simplifies contacting leads and providing better customer service. It saves us a lot of time and makes our business more dynamic overall. * We monitor all Voiptime Cloud reviews to prevent fraudulent reviews and keep review quality high. We do not post reviews by company employees or direct competitors. Validated reviews require the user to submit a screenshot of the product containing their user ID, in order to verify a user is an actual user of the product. Hi there! Are you looking to implement a solution like Voiptime Cloud?